John Sheehan (Oxford) Limited specialises in delivering solutions to complex developments of listed buildings. 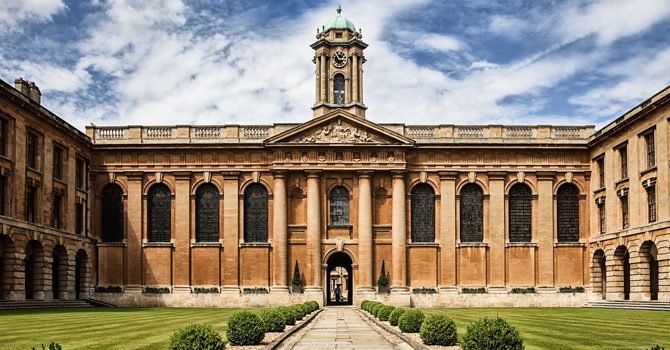 When Queen’s College, Oxford, the oldest college in the city, wanted a basement build to create space for new kitchens they turned to John Sheehan (Oxford) Limited. The brief was highly technical and involved significantly extending and altering an ancient basement below the historic west wing of the Grade I listed building. Excavating underneath the structure, without unsettling the building required highly technical and detailed preparation. Our team of specialists underpinned all existing walls to enable a safe excavation process. The challenge increased by the location of the college, which was in use throughout the project. Situated in the city centre, access to the building was via a 4ft-wide doorway onto a narrow lane. This required cautious preparation and detailed management with the college and local authority for deliveries and loading. Great care was required to successfully excavate the basement, a mini excavator was used, and the spoil was manually loaded into powered wheelbarrows and placed into a skip in the narrow lane. We worked in conjunction with English Heritage and archaeologists through the process, with all parties ensuring a forensic approach to health and safety. The intricate project was completed on time and on budget, to exceptional standards.